SEF DOCUMENTARY On this path we set out as Association of Children in need of Special Education, which we established in 1999, we have now been continuing our endeavors as TRNC Special Education Foundation (SEF) since 19th January 2004 under the slogan of A Safety Future for the Children Growing up Differently. Through the Special Education School (SES) and Rehabilitation Centre that was established as of 05th September 2005, Special Education Foundation have actually been rendering special education and rehabilitation services to more than 75 of our individuals developing differently. The Special education foundation is a foundation declared with the Council of Ministers resolution dated 06th July 2005 and of reference number S-527-2005 as a charity. Watch your child on video ! 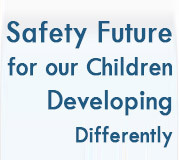 You can watch your childs process of personal development under the assurance of SEF.